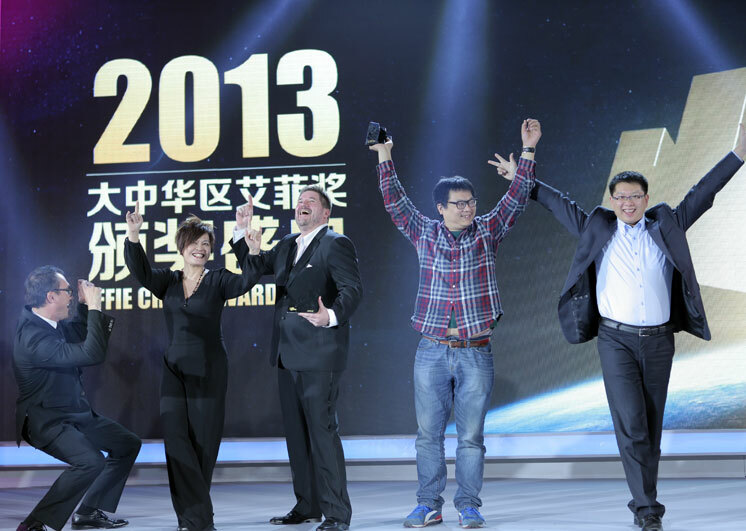 On October 27th, the 2013 Effie China Festival was celebrated at the Nanjing Jinling Conference Center in Nanjing. Winners of 24 products and services categories and 5 specialty categories were awarded. The Grand Effie went to Coca-Cola and its interactive marketing agency Socialab for one of the most popular campaigns of the summer in China, Coca-Cola’s “Nickname Bottle Summer Campaign”. This year, Effie China not only honored the most effective marketing communications efforts in mainland China, but also Hong Kong, Macau and Taiwan. More than 70 advertiser and agency teams were awarded, some top winners include: Chrysler Group (China) Sales Limited and Lintas China (Beijing) Co. Ltd, P&G China and BBDO China, Taiwan Tobacco and Liquor Corporation and McCann Worldgroup Taiwan, McDonalds China and TBWA\Shanghai, Dulux and Amber Communications (Beijing)Co.Ltd,and China Helpage Organization Official Website and Cheil Opentide. Download the complete list of winners here. ​Championing the practice and practitioners of marketing effectiveness, Effie Worldwide spotlights marketing ideas thatwork and encourages thoughtful dialogue around the driversof marketing effectiveness. The Effie network works with some of the top research and media organizations worldwide to bring its audience relevant and first‐class insights into effective marketing strategy. The Effie Awards are known by advertisers and agencies globally as the pre‐eminent award in the industry, and recognize any and all forms of marketing communication that contribute to a brand's success. Since 1968, winning an Effie has become a global symbol of achievement. Today, Effie celebrates effectiveness worldwide with the Global Effie, the Euro Effie, the Middle East/North Africa Effie, the Asia Pacific Effie and more than 40 national Effie programs. For more details, visit www.effie.org. Follow @effieawards on Twitter for updates on Effie information,programs and news.